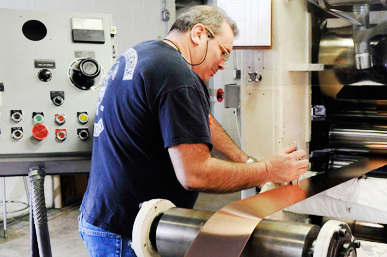 With our own, in-house Metallurgist, Vincent Clad Metals specializes in the design and engineering of coextruded metal products. Expertise in material selection for all applications, but especially in corrosive environments, makes us the best choice for your next metal cladding project. More than 30 years of engineering design experience helps us to produce some of the most innovative coextruded solutions, working with specialist metals such as Platinum and Niobium. 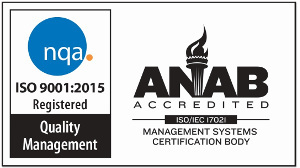 ISO Registered, we work to high quality standards, assuring you of our best attention at all times. Vincent Clad Metals does not charge for consultations as we find that expert analysis at the start benefits both our customer and us as the supplier. What is more, we undertake Inventory Programs, holding stock for our customer with no minimum order quantity on runs. We are happy to undertake new product research, design and development, as well as prototyping, redesign and reverse engineering. Vincent Clad Metals also provide toll manufacturing services for our clients. With regard to testing, we have full capabilities for Finite Element Analysis and Failure Analysis. Our focus is always on Quality, Reliability and Product Longevity. 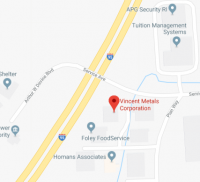 In a particular instance, Vincent Clad Metals was approached by an existing customer who was looking to re-source one of their other components with improved lead times and an Inventory Program. The automotive component, a Pt coated Ti rod, .250″ in diameter, was required in high volume and we already supplied Pt clad Nb in expanded mesh form to this customer. Our design engineers examined the component and its manufacturing process before addressing several important issues that they felt were compromising the overall product. They re-designed the starting package to incorporate a different diffusion barrier, using a different material in the initial outsourced extrusion. This new material was more readily removed later in the process, with the added benefit of not being a contaminant in our customer’s process later down the line. The new design also allowed the pass schedule and number of anneals used during wire drawing to be optimized. As a result, the overall number was reduced, without any compromise to customer specification. Vincent Clad Metals new component was found to last over 30% longer in the customer’s plating process, which was instrumental in helping them reduce costs and, in turn, to pass these savings on to their customer.